Want to help educate first-year students on sexual violence prevention and healthy drinking habits? 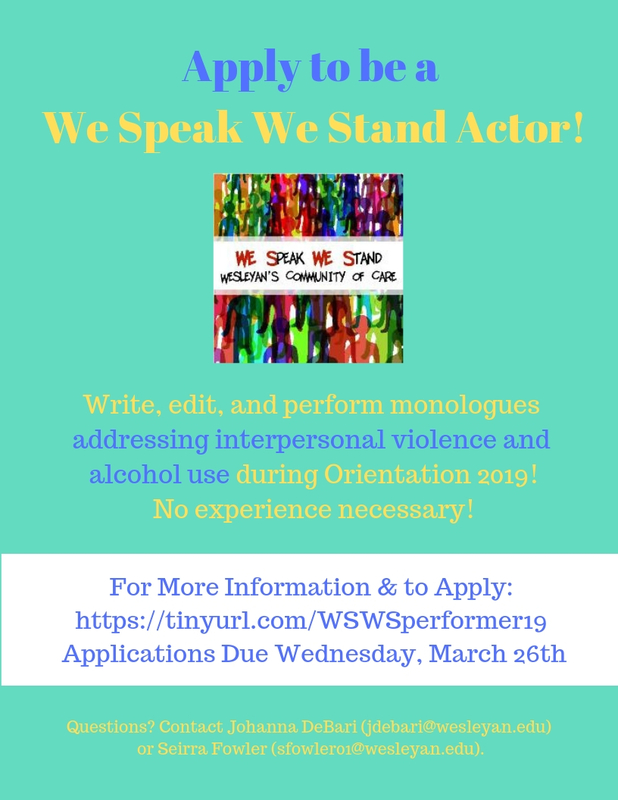 Apply to be a performer & discussion leader in We Speak We Stand during Orientation Week 2019! Apply here by Wednesday, March 27th!